I have tile in a large part of my home. It's in the dinning room, kitchen, entryway, and hallway, which tend to be the heavy traffic areas. Since the tile gets a lot of use, the grout lines started to look seriously dirty. 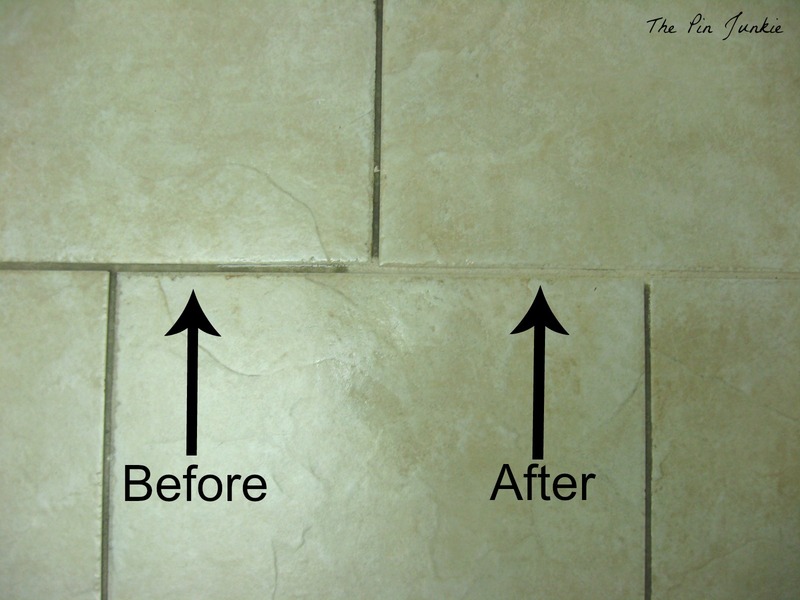 It doesn't help that the tile and the grout are both very light in color and show dirt easily. 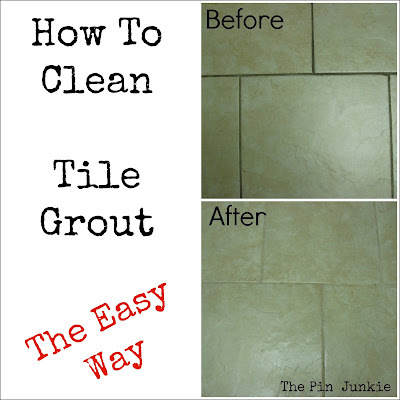 There are many pins on Pinterest that tell you how to clean tile and grout. I used a mixture 7 cups water, 1/2 cup baking soda, 1/3 cup ammonia, 1/4 cup vinegar and a lot of elbow grease. I mixed everything in a spray bottle and sprayed the mixture on one grout line at a time. I scrubbed the grout with an old toothbrush and then wiped the grout with a rag. I kept a small cup of water nearby to rinse the toothbrush periodically. I did the spray, scrub, wipe routine over and over again for each grout line. Yes, it's time consuming and a dull task, but I did a small section at a time and was able to get in done in just a few days. If anyone knows of a better or faster way to clean tile grout, please let me know! The tile floor looks so much better! Now that I've got the grout clean, I'm wondering how to keep it that way. I've heard the grout needs to be sealed. When I went to Lowe's, the only grout sealer I could find was in a teeny tiny bottle that didn't look like it would cover all the grout lines and at $13.00 a bottle I didn't want to buy multiple bottles. Does anyone know how to seal the grout and keep it clean? If you have any tips or suggestions I'd love to hear them! 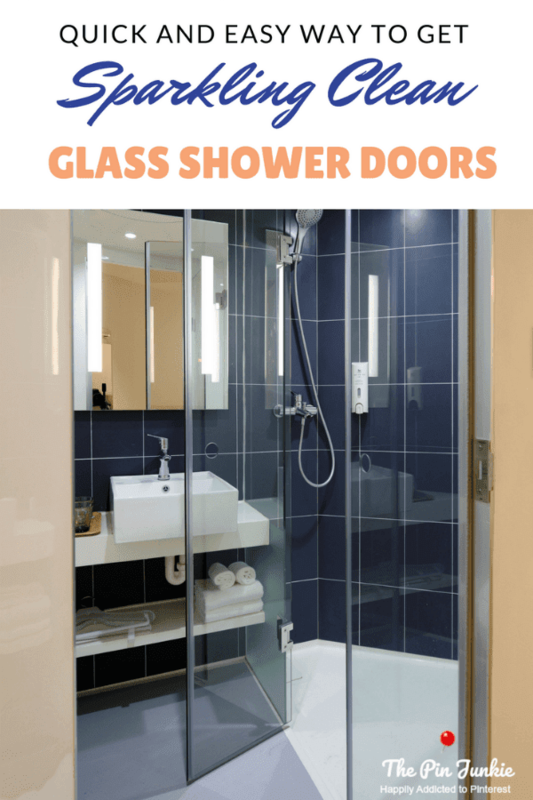 Find more great cleaning tips here! 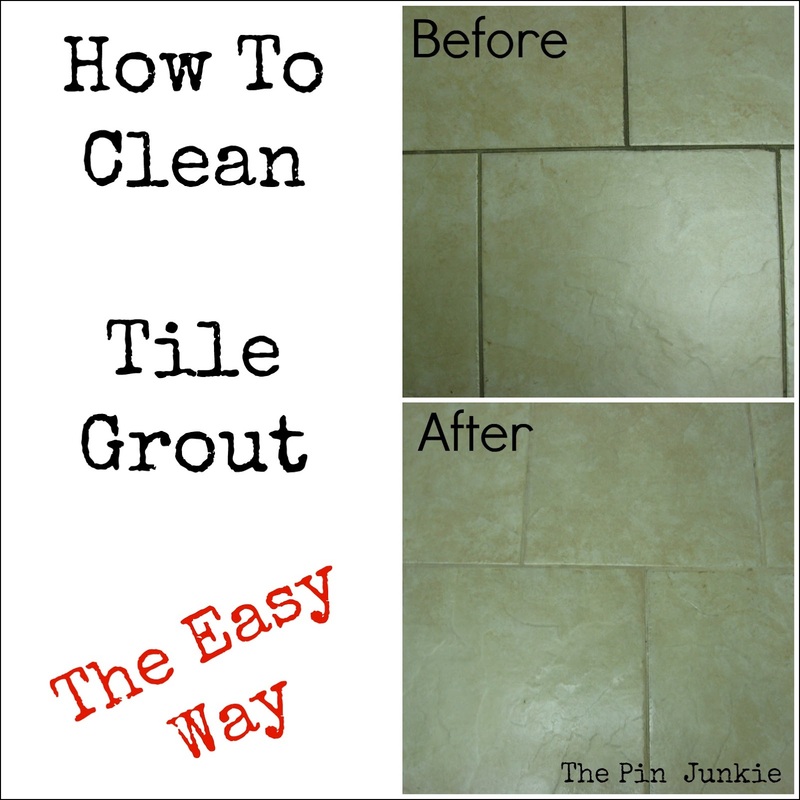 Inspired by this pin for cleaning tile grout. Woolite foaming carpet cleaner is better! I tried both techniques and I didn't have to scrub nearly as much with woolite. Let it sit just a few minutes, but not too long. Good luck! Thanks for the tip! I'll definitely try it! All you need is a magic eraser and any store bought spray. I use a foam disinfectant spray (generic brand) and a Mr. Clean magic eraser sponge. It does miracles and only cost about $3.50 to do it. cool! thanks a bunch, need to clen mineup soon! 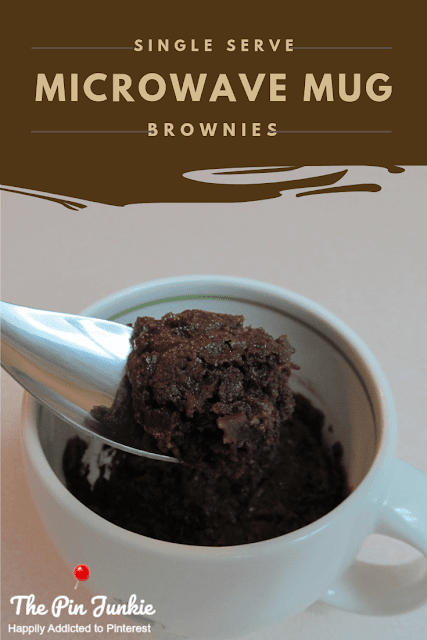 Thanks for posting this - I definitely need to try it. And doing a small section at a time is genius. I love Pinterest - not quite addicted - but I do check it out every day and have found amazing tips and creative ideas. New following here - and will be checking back! 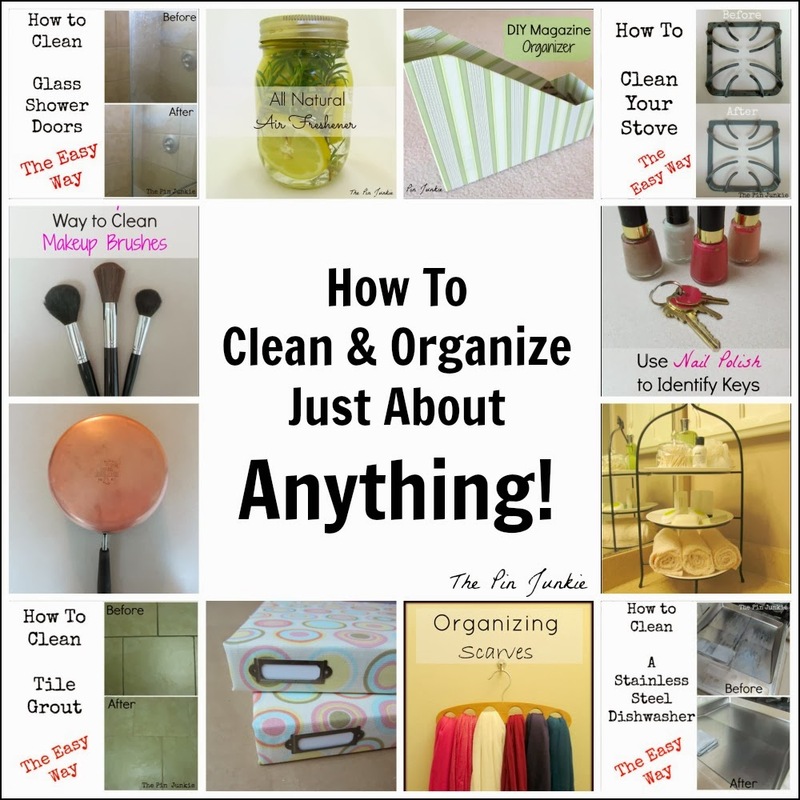 Amazing tips and creative ideas - that's why I love Pinterest too! Thanks for stopping by Pamela! 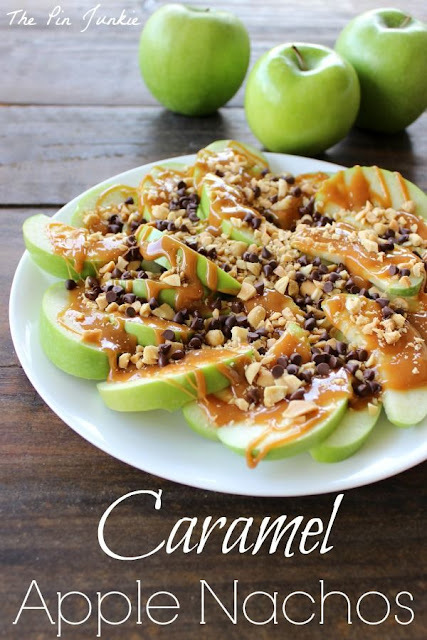 I can't wait to try this. We have yucky stuff just beginning to accumulate in small spots in one of our tubs/showers. I want to get it under control before it becomes a big problem. It never occurred to me that my dark grout on light floors was just dirty. I pinned it. I'm going to get the supplies and try this. Great tip, I think I'll try it on my bathroom tile. Ours is sealed but it still gets filthy! Found you via GYB network party. 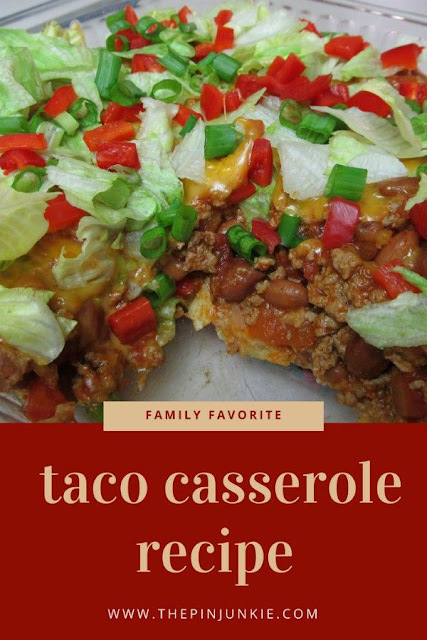 I just added you to my Google + circles, I'd love the follow back if you are interested in any of my recipes on my blog. I always just use a baking soda paste on my grout. It has never failed me. Thankfully, I don't have a lot of it (grout). I love Pinterst. The toughest part is I can get lost in it all day. 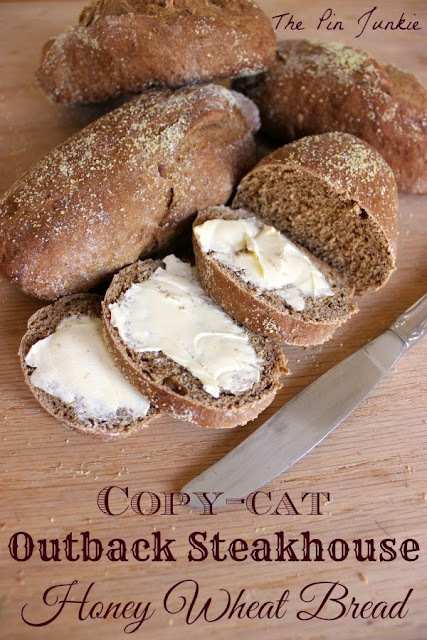 I'm dropping by today from Our Everyday Harvest's blog hop. I hope you can drop by. Toliet bowl cleaner that has bleach in it works good too. Apply same way. I read somewhere to use Listerine on grout. I tried it and it does work. I still had to scrub a lot though and the bristles on the old toothbrushes were smashed flat fairly quickly. Still, it worked. Hi! I followed your posts to this one from Gingerly Made. (originally started at the oven cleaning.) I don't know if you found grout sealer yet, but Home Depot has big bottles in the tile section, next to the grout. I just pour right on and mop it with an old mop. Let it dry a day before mopping the residue from the rest of your floor. 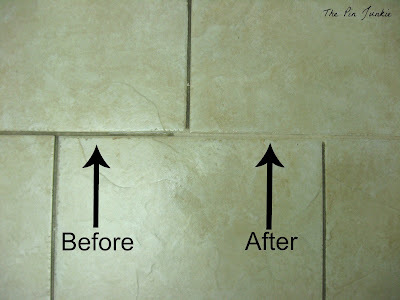 I permanently sealed mine and changed the color by using Grout Solutions, that I found online. It's kind of like a paint, and is time consuming in its own rite, but it's held up 3 years now and my grout is never dirty. Cheers! Thanks Jodi! I just read about Grout Solutions at Young House Love (http://www.younghouselove.com/2014/01/how-you-like-me-now-grout/) I'm going to Home Depot right away to get this! I must try this on our bathroom floors - thanks for sharing this great tip with us. Soapy water with a splash of bleach (if I feel like it), and I clean the grout about once a month while I'm already cleaning the floor. Thanks for this tip. I'll definitely have to try it. After cleaning the grout, it was looking dirty again after a few months. That's the problem with light colored grout I guess. I really don't want to scrub each grout line again, so I'll try using a little bit of bleach the next time I mop. I used a bleach pen on my grout lines and then waited five minutes and then mopped it up. No elbow grease. It worked like a charm. Altho, the bleach pen is expensive. I need to find a home made recipe for bleach pen. I'm quite late with my comment! I was hoping to find something to use on wall tile in the shower. On our floor tiles, I use about 1/2 cup Oxyclean to 1 gallon of water (or a bit less for the darker areas). I take old towels and make a dam around a small area, then gently pour the solution in the dammed up area. Using a scrub brush on a handle, I scrub every few minutes, always keep the grout wet. Must be careful as this can be slippery! After 30 mins, I use the towels to soak up the Oxyclean & water, then I wash the tiles and grout with warm water. Time consuming but easier on the back and it makes a HUGE difference. Just an FYI, there are some grouts you can't use ammonia on. I have that type - it's a "stain free" grout, but after 7 or 8 years it needs touch up. Woolite or Resolve here I come. ZEP grout cleaner is amazing. You can find it at Home Depot, and, yes, you must seal after using. Excellent article. Sounds like just what I'm looking for.Thanks for this idea.